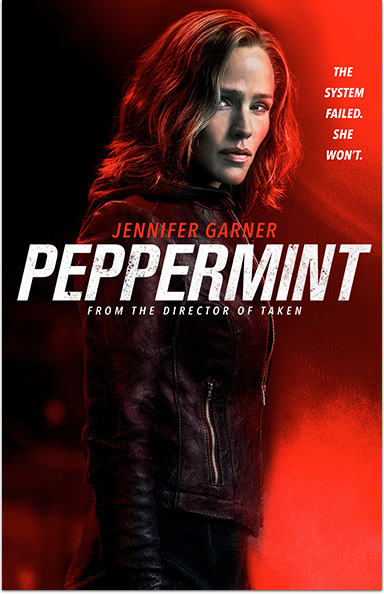 Starring: Jennifer Garner, John Ortiz, John Gallagher Jr.
Peppermint is a revenge story centering on a young mother who finds herself with nothing to lose and is now going to take from her enemies the very life they stole from her. PEPPERMINT © 2018 STX Financing, LLC. All Rights Reserved.